My husband says bananas are the perfect food, but I say the same thing about medjool dates. So, for the ‘perfect’ breakfast smoothie, why not combine the two? Add in some almond milk and vanilla and it is a yummy and healthy way to start the day! 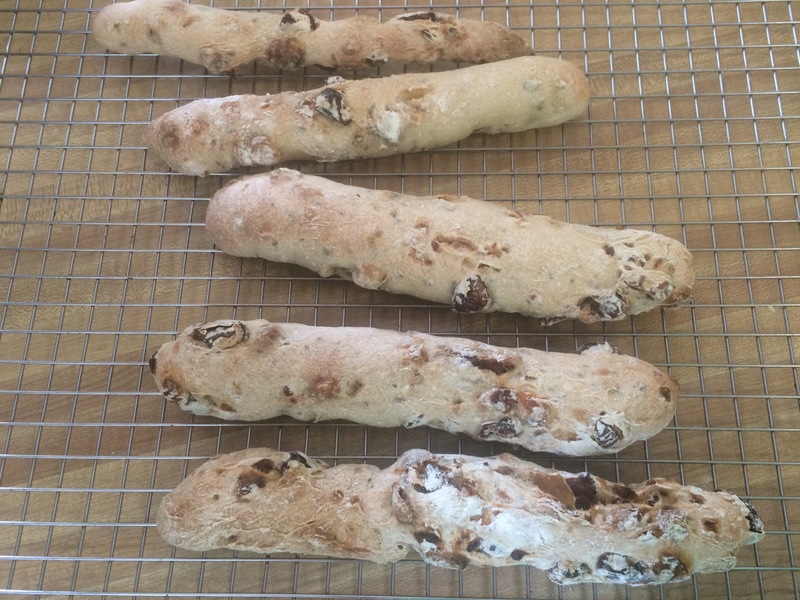 This recipe is for one, it is easily multiplied to serve more. 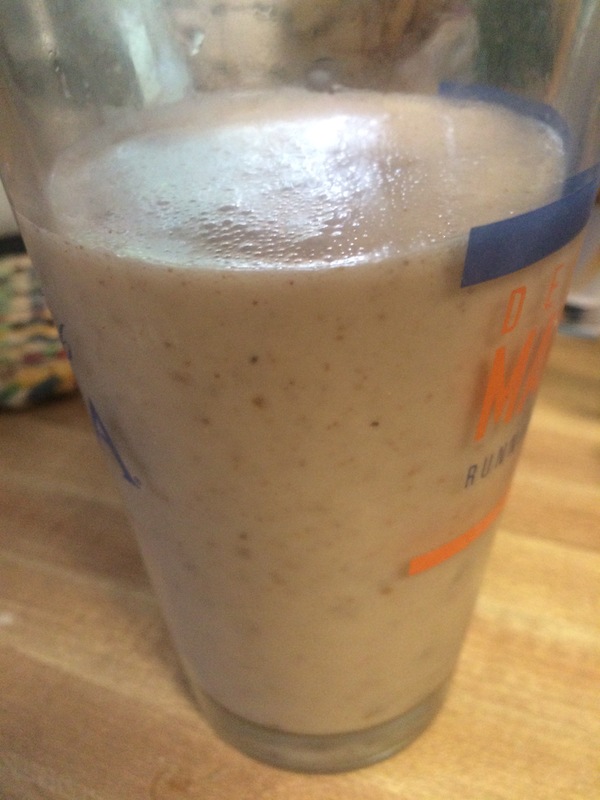 Combine all the ingredients in a blender and mix until combined and smooth (I used the smoothie setting on my blender). During a visit to my friend in San Diego, she took me to this wonderful international food market, Harvest. After being drawn in by the warm, fresh flatbreads, I spotted the warm foods…persian dish after persian dish! I was home! After explaining all the dishes to my friend, and telling her that most of them are on my blog, I went off to find the spices and herbs I was running low on. 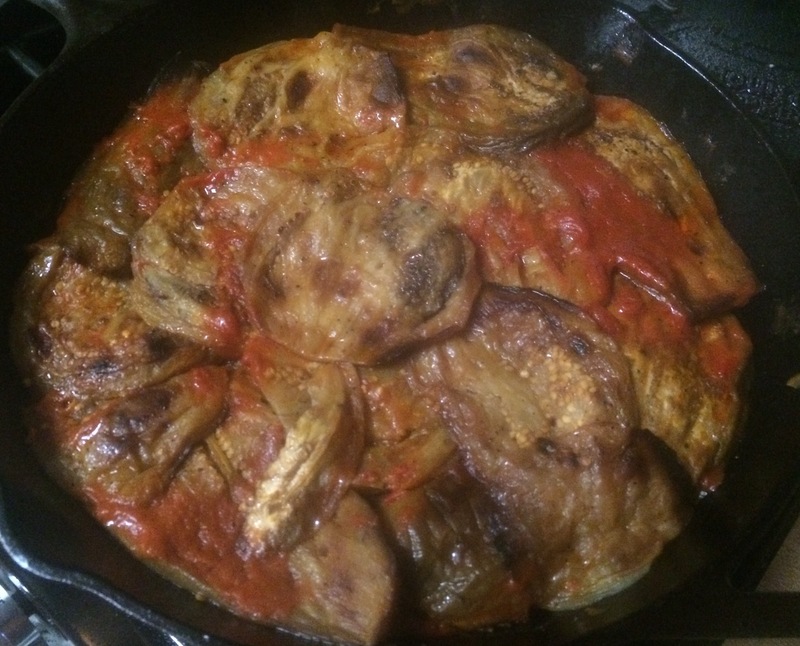 I was also inspired to once again refine my khoresh bademjun – our beloved eggplant stew. 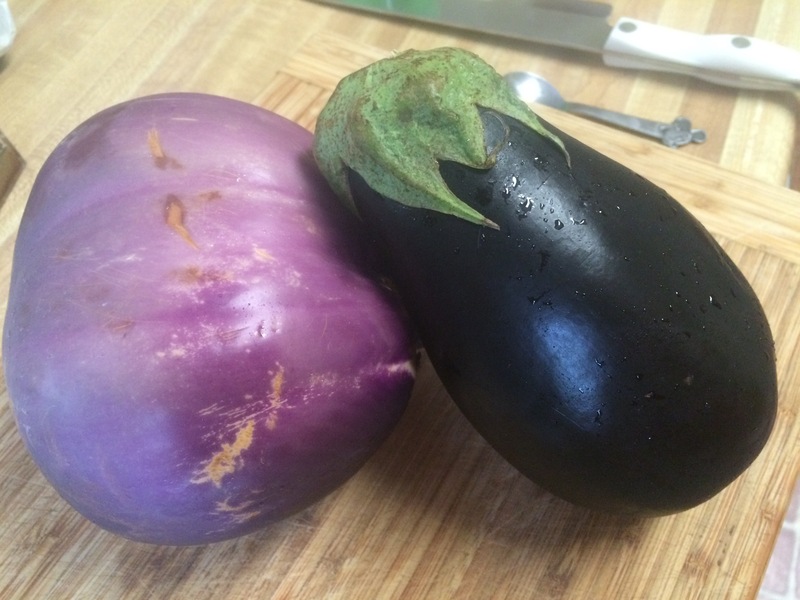 I had already figured out how to make it without frying the eggplant and have the taste come out right, but it didn’t look right with the cubed eggplant. 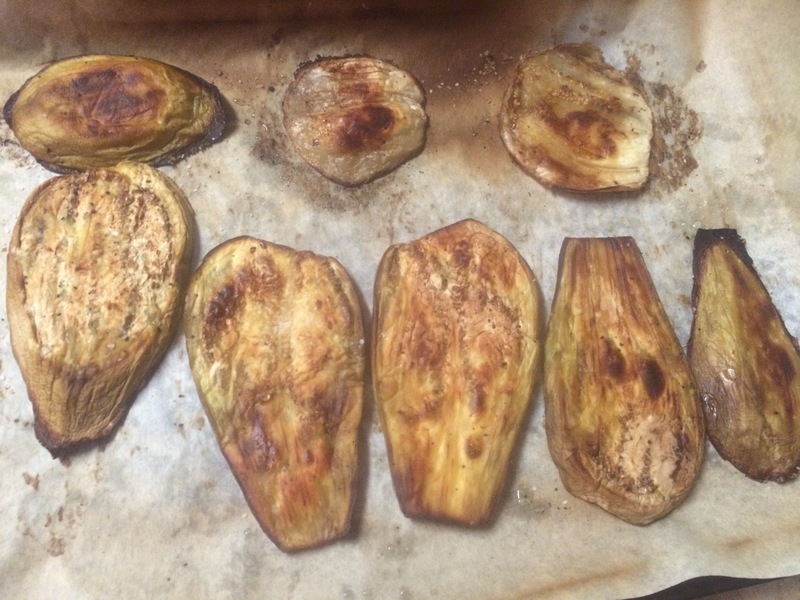 So, I decided to try again, could I bake slices of eggplant? Perhaps if I cut them thicker, about 1/2″ thick. That worked, they baked up well. So, I was able to arrange and cook the dish as I would with fried eggplant slices. Success! Eggplant Bademjun – healthy and delicious! Preheat the oven to 425F. 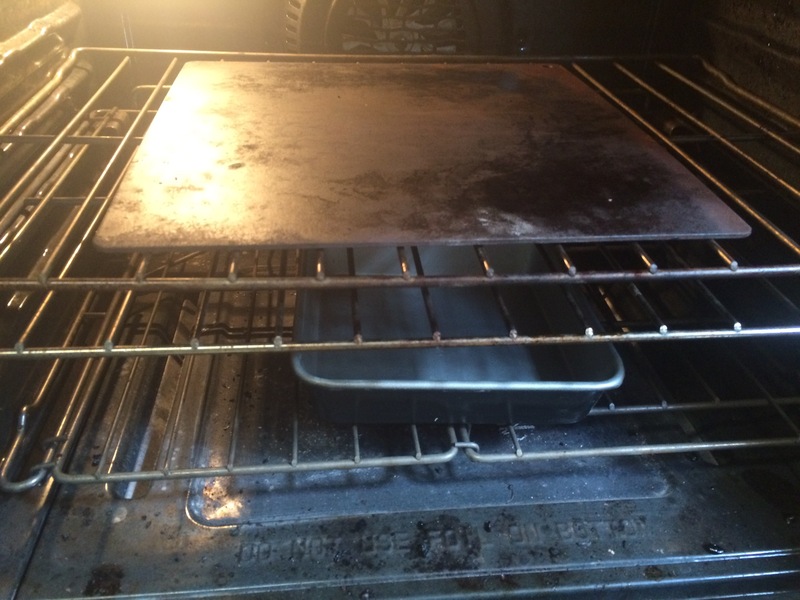 Line a baking sheet with parchment paper, drizzle with 1 Tbsp oil. Peel and slice the eggplant lengthwise, about 1/2” thick. Place on the baking sheet and drizzle with 1 Tbsp oil. Sprinkle with sea salt and black pepper. Bake for 30 – 40 minutes, turning every 10 minutes until browned. Remove from oven. Meanwhile, in a large skillet, heat the other 1 Tbsp oil. Add the chicken or beef and onions. Brown on all sides – do not overcook. After the meat is browned add turmeric and salt. Mix to combine. Add the water then cover with a layer of eggplants, covering the tomatoes and meat as completely as possible. I have finally figured out how to not burn my kale chips! It was a plentiful year for kale in my garden. I felt like I had kale coming out of my ears. 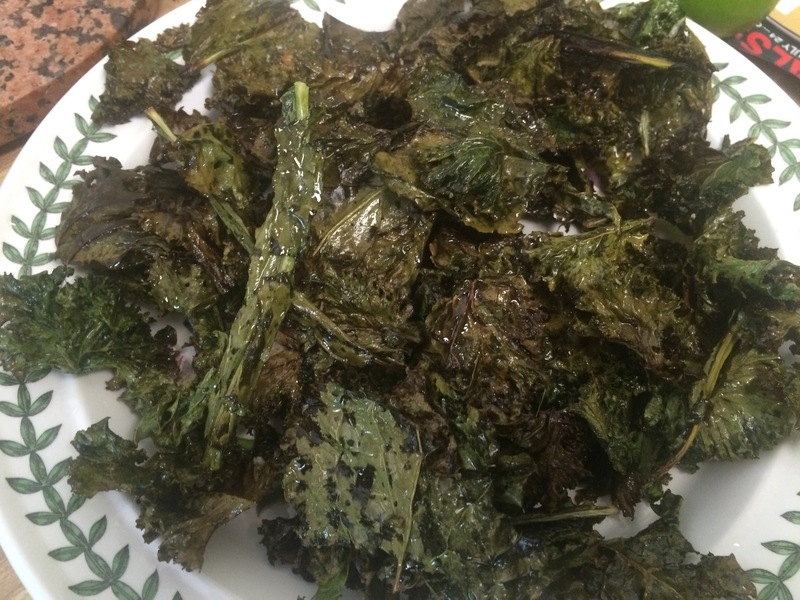 Kale chips are a fun way to use kale as a snack food… definitely worth a try. 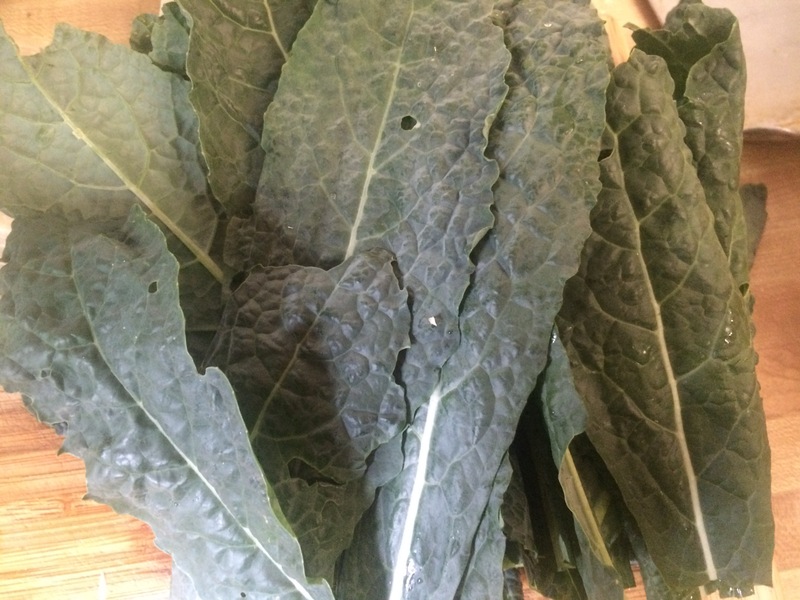 FOr this batch I used a mix of Tuscan kale and Russian Kale. Wash the kale and let it dry. Tear the leaves into approx. 1 – 2” pieces. 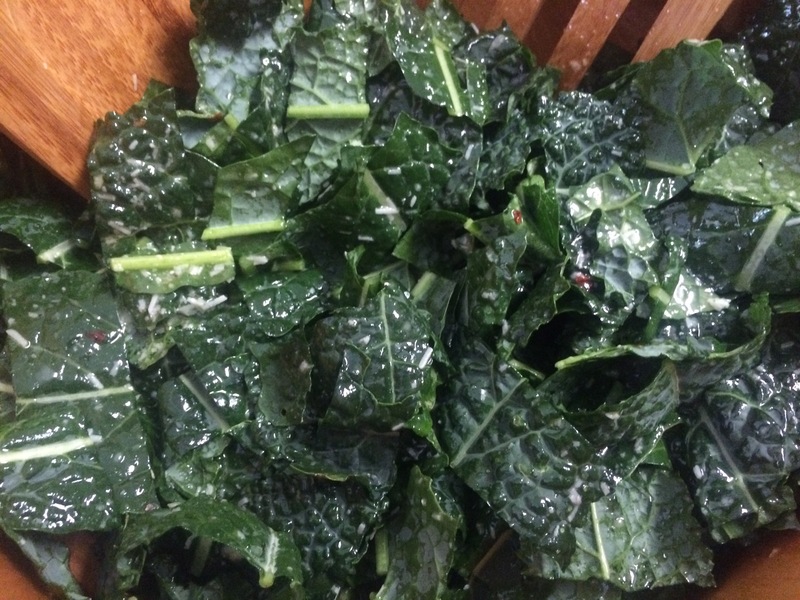 In a large bowl, toss the kale with the olive oil and salt. With your hands, massage the oil onto the kale pieces, the oil should be evenly distributed and the kale pieces shiny. Spread the kale in single layers on 2 baking sheets. Bake unto the leaves are crips, about 12 – 14 minutes. Remove from the oven and let cool. Taste and sprinkle with a little more salt if necessary. Enjoy! Tuscan kale is my favorite kale. The only one I really enjoy eating raw. It grew very nicely in my garden this year. Topped with breadcrumbs I made from one of my sourdough breads and more parmigiano reggiano. Trim bottom 2 inches off kale stems and discard. Slice kale, including ribs, into 3/4-inch-wide ribbons. You should have 4 to 5 cups. 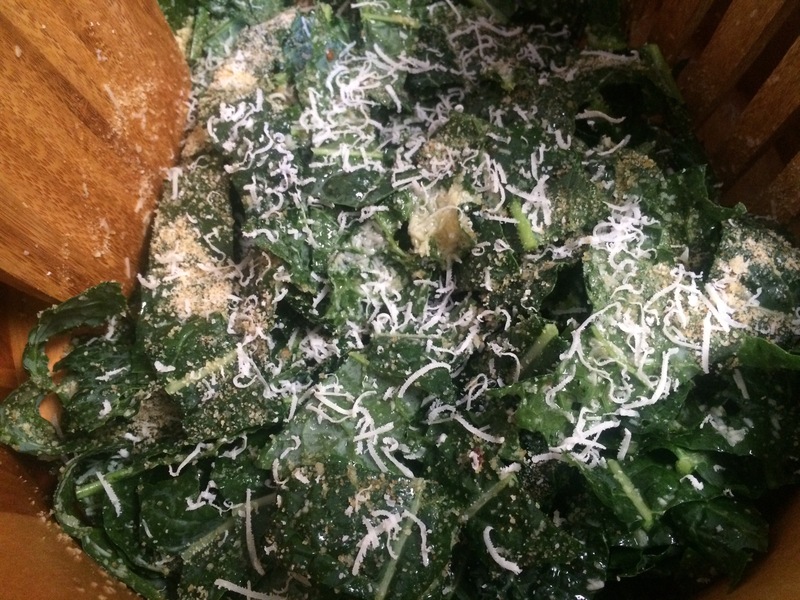 Place kale in a large bowl. 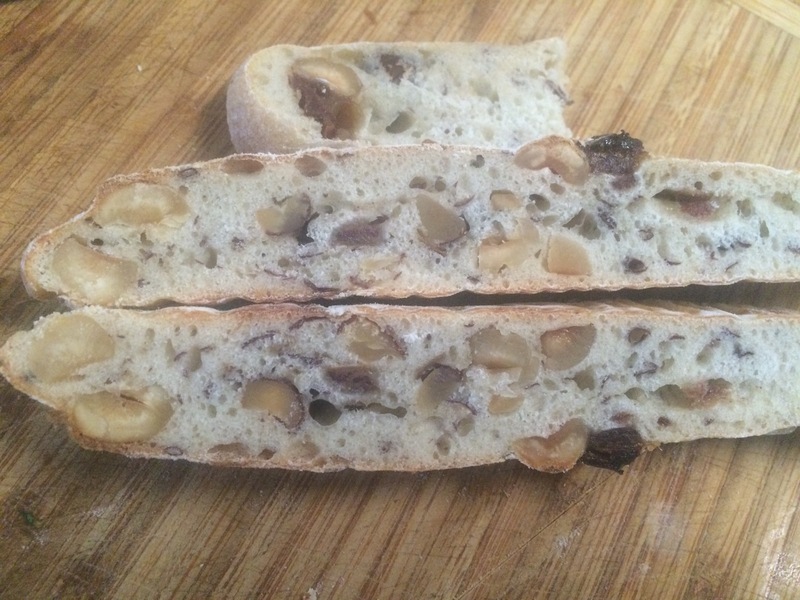 To make the breadcrumbs, toast a slice of country bread until golden on both sides. Tear it into small pieces and grind in a food processor until mixture forms coarse crumbs. Using a mortar and pestle, or with the back of a knife, pound garlic into a paste. Transfer garlic to a small bowl. Add 1/4 cup cheese, 3 tablespoons oil, lemon juice, salt, pepper flakes and black pepper, and whisk to combine. Pour dressing over kale and toss very well to thoroughly combine (dressing will be thick and need lots of tossing to coat leaves). Let salad sit for 5 minutes, then serve topped with bread crumbs, additional cheese and a drizzle of oil. It’s bean time in the garden! Even with the Japanese beatles eating their fill of leaves, the beans are coming in fast and furious. The magic of the purple beans…I still get tickled when they turn from purple to green as they cook. This recipe has been one I have worked on over the past couple of years and have finally gotten to the point where I am always happy with the sauce. My daughters agree that my stir fry sauces have come a long way over the years. A fact that they are very happy about. 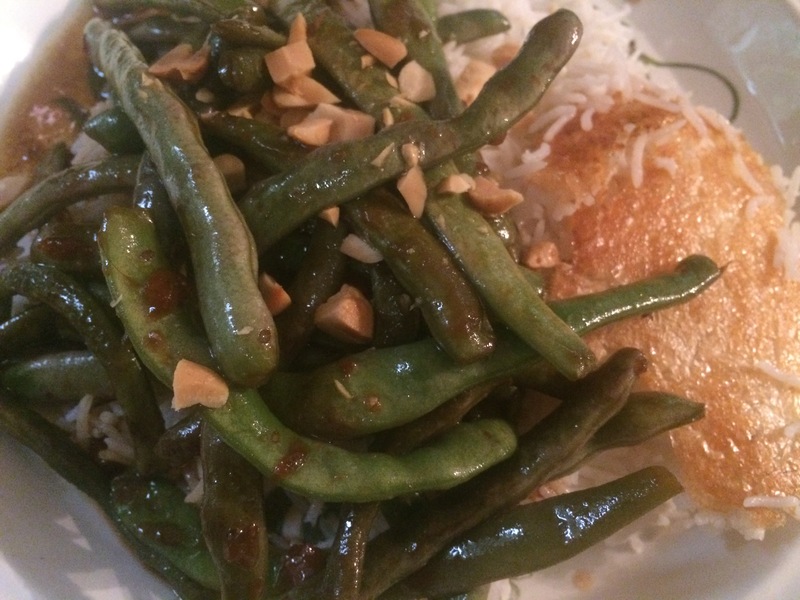 As you can see, in our house, it the green beans are usually made with Persian rice with tadig, but I have also made it with a more traditional Chinese sticky rice. EIther way, it is a treat for dinner! Add 1 Tbsp oil to a wok and heat over high heat. Add the green beans and stir fry till cooked through and tender, about 10 minutes. (Note: if you want to speed up the process, first steam the beans for 1 – 2 minutes in the microwave, then stir fry). Meanwhile, in a small bowl, mix together the soy sauce, ginger, chili garlic sauce, rice wine vinegar, hoison, wine, and sesame oil. In a small saucepan, heat 1 Tbsp oil over medium heat. Heat for another 2 – 3 minutes. Add the sauce to the cooked green beans and mix well. Serve on top of rice, topped with peanuts. Enjoy! 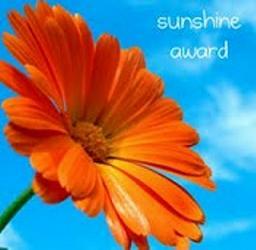 I have started, or attempted to start, writing this post several times. I am not really sure what to say about these meatballs, other than that they make me really happy. I love leeks, but it is more than that. The flavor of the sauce is unique. It is savory, it is rich, but really, it simply makes me happy. 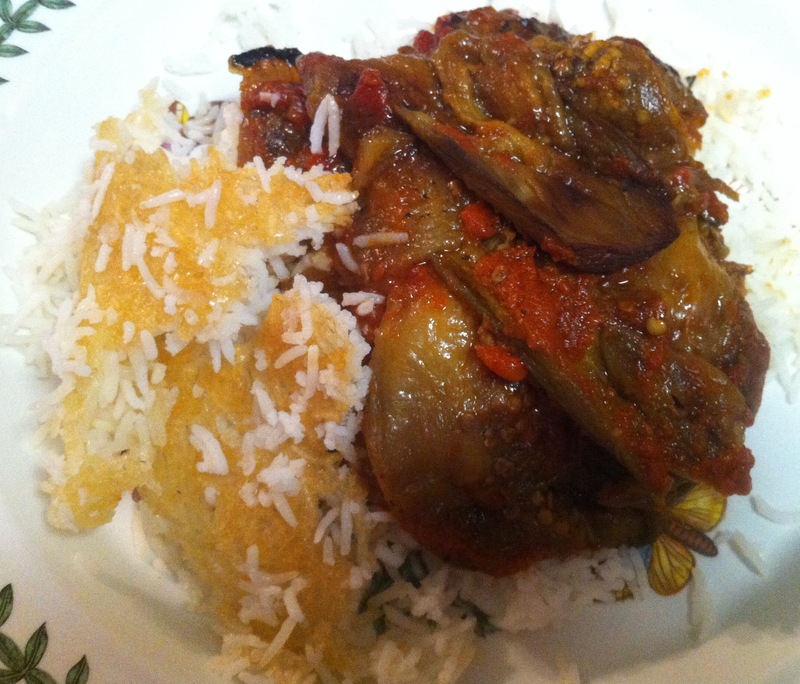 And served with the rice with some crispy tadig…I am very happy. Saute the leeks in a large skillet or dutch oven with about 3 tablespoons olive oil over medium-high heat, for 5 – 10 minutes, stirring often. Remove from the heat once completely softened and the leeks begin to turn golden. In a large bowl, mix together the ground meat, shallot, 2 tablespoons bread crumbs, and egg. Season the lightly with salt and freshly ground pepper. Put the remaining the bread crumbs in a flat bowl and roll the meatballs in the crumbs as you prepare them. Place the meatballs on a large plate, do not make a pile; use 2 plates, if necessary. Return the pan with the leeks to a medium-high heat, add the meatballs and saute gently flipping them once or twice. Once they are browned, lower the heat and add the broth a few tablespoons at a time. Season with a light sprinkle of salt and some ground pepper, lower the heat to medium-low, cover and cook for about 20 – 25 minutes, adding broth as necessary to make sure that the sauce does not dry up. Local zucchini from down the road, almost as good as growing my own. Even better, another zucchini preparation my 7 year old really likes. Just a note – It is always strange to see the pictures in my glass bowl, feels like the food is suspended in air. This is a really simple preparation I got from The Sephardic Table by Pamela Grau Twena. Just sauteed zucchini and garlic, topped with lemon juice and parsley (from my garden). I paired it with Tilapia with Bruschetta Topping and some quinoa. They went perfectly together. 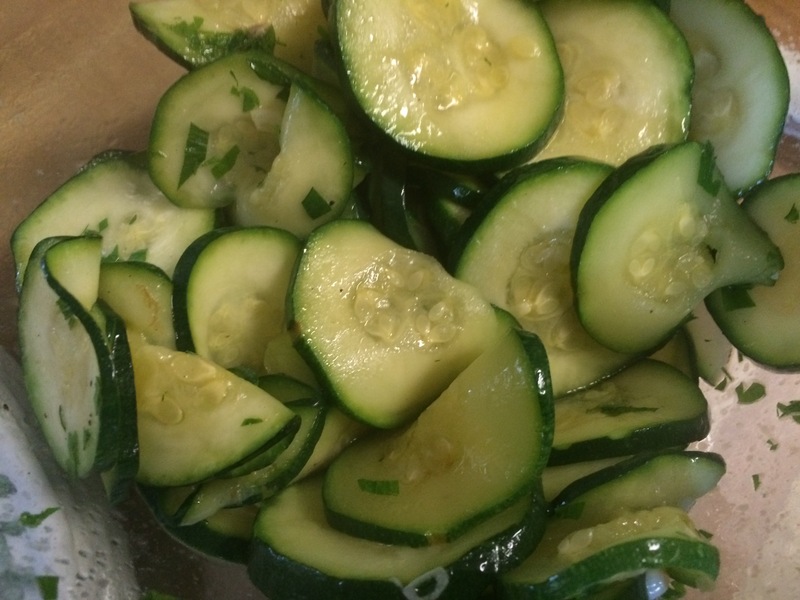 Sprinkle the zucchini slices lightly with salt and set in a colander in the sink to drain for 20 minutes. Squeeze out the excess water. Heat the olive oil in a non-stick (I used cast iron) pan over medium-high heat and add the garlic and zucchini. Saute until the zucchini slices are golden and still somewhat firm. Transfer with a slotted spoon to a large bowl. Sprinkle with lemon juice, pepper (salt if needed) and parsley. Tomatoes, tomatoes, tomatoes – fresh summer tomatoes! Mine were taking a hiatus from ripening; it is very frustrating to see my plants loaded with tomatoes that are just refusing to ripen. So the one I used for this was grown by a neighbor down the road. The purple basil came from my garden. This was so simple and easy; and absolutely loved by my family! I am so glad my son ikes fish, it is one of the best ways for me to get protein into him. In a few days, I will post the recipe for the zucchini – we all (including the 7 year old) really liked that as well. Preheat oven to 400F. 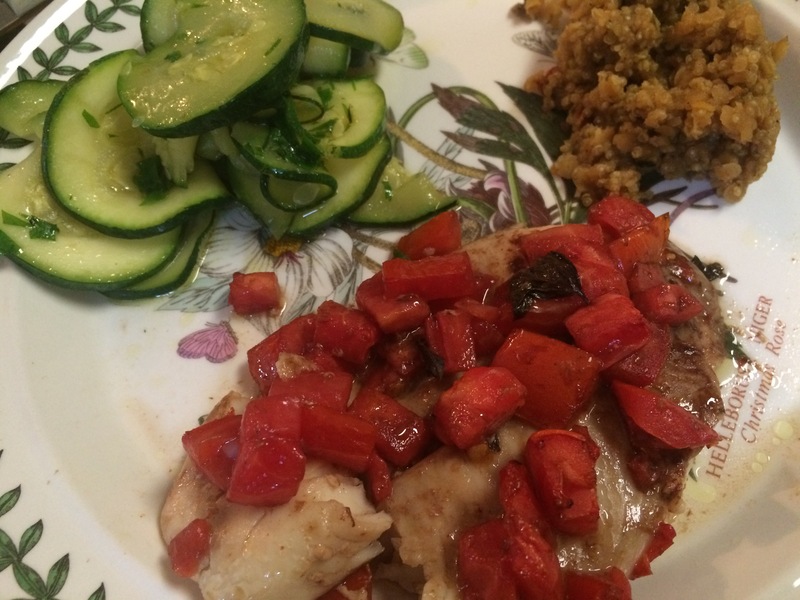 Lightly brush tilapia with olive oil and place in a baking dish. 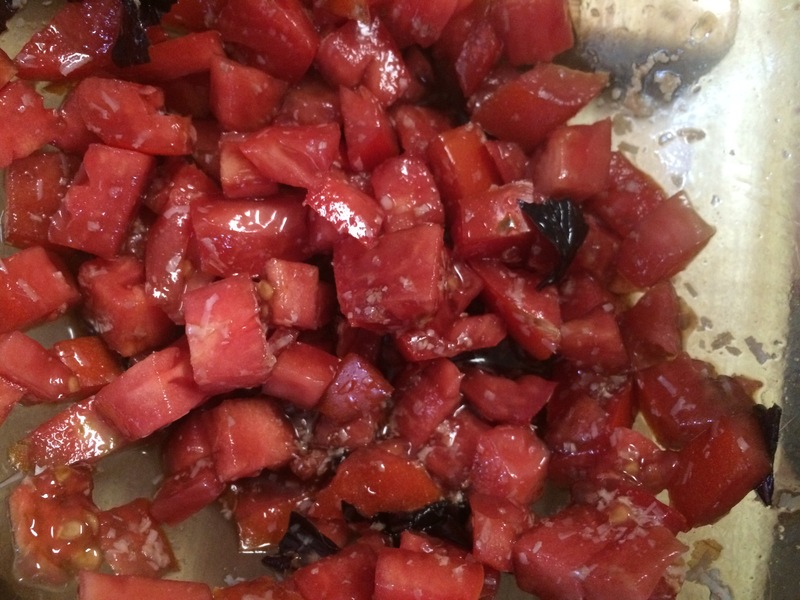 Prepare the topping: Combine the diced tomato, basil, balsamic and parmesan in a bowl. Sprinkle the topping over the fish. Bake for about 15-25 minutes or until fish is flaky and tender. My super producing zucchini plant was destroyed in a summer storm, so I have been buying my zucchini from a variety of local farmers. The zucchini in this dish was from 2 different farms in Kent and Sussex Counties. They may not be my zucchini, but they are GOOD zucchini. School is back in session, so our days are filling with sports and after school activities. So, time for some dinners I can make earlier in the day and have ready for a quick meal before we have to head out again. Chili is a perfect dish for that, I can make it and have it staying warm on the stove for the 15 minutes we are all in the house. Yes, I believe in family dinnertime, no matter how short it has to be, we all eat together. I make several different chilis in different seasons. 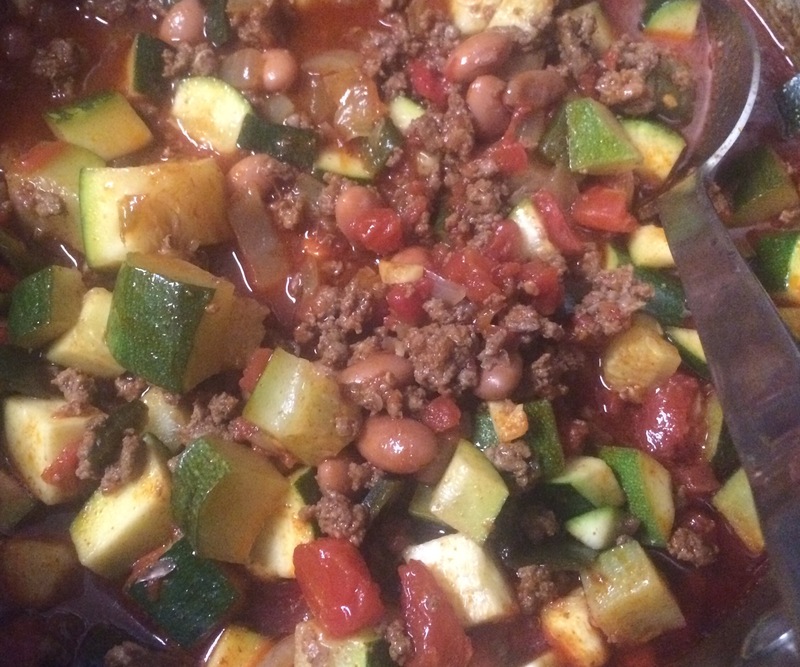 This is a perfect summer chili – the zucchini brightens it up and it is bursting with flavor. It feels light and fresh (not something I usually say about chili). It took a great deal of restraint to stop at 1 bowl. Heat the olive oil in a large pot over medium-high heat. Add the ground beef and brown, breaking up the meat as it cooks, about 3 minutes. Add the onion, poblano and garlic; cook, stirring occasionally, until the vegetables are tender and lightly browned, about 5 minutes. Stir in the chili powder, 1 teaspoon salt and a few grinds of pepper. Cook, stirring, until combined, about 1 minute. Add the tomatoes, beans and their liquid to the pot; bring to a boil, then reduce the heat to medium and simmer until the liquid is slightly reduced, about 5 minutes. Add the zucchini and stir to mix in. Partially cover and cook, stirring occasionally, until the squash is tender and the chili thickens slightly, about 15 minutes. Season with salt if necessary. Top each serving of chili with avocado. Serve with tortilla chips and enjoy!